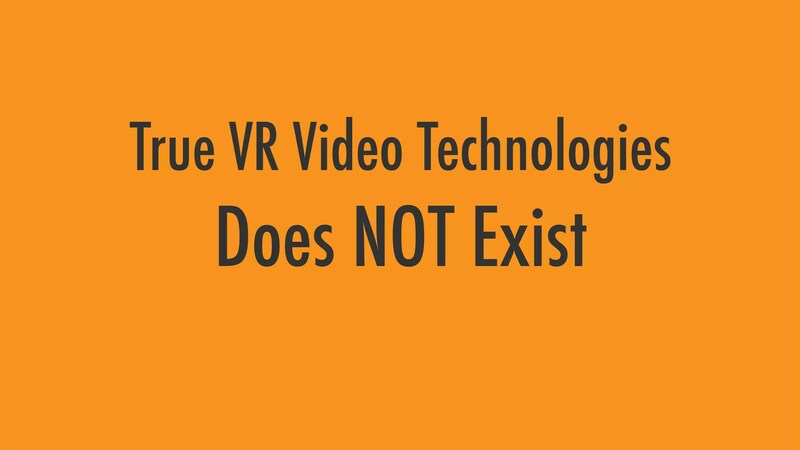 After two years of involvement in the VR world, building products, creating experiences and trying to build VR related businesses, I have to admit that the VR content creation and delivery tools that are now on the market are not True VR tools. The industry is using existing HD/4K tools, workflows, codecs and methods to capture and deliver VR. We need VR specific tools. For example, all VR cameras on the market now are using sensors that are initially made for HD or 4K cameras. Combining multiple sensors and lenses, capturing HD or 4K or even 8K images and stitch them together. That’s a good start, but VR will require specific VR sensors, optics and a whole new approach to capture a scene. Volumetric, light field techniques are the way to go, but we have yet to see the affordable and easy to use tools to create such content. And, in addition to this dilemma, there is still a lot to learn about volumetric and Lightfield technologies. Same applies to post-production, encoding, and streaming. Existing post-production tools are adding VR capabilities. Accurately, those are not VR features; those are tools that takes rectangular images and project them in a way to create a 360 sphere. What we need is a tool that edits a 360 sphere natively. Encoding is no different. Currently, we carry VR content over rectangular 4K, 6K or 8K video mechanisms and formats. In the next two or three years, we will see a VR specific encoding technologies and maybe even a VR particular codec that preserve the VR video specifics and optimized it to deliver in native VR form and format. But to this day, the True VR camera is yet to be invented! The purpose-designed VR post-production tools are yet to be invented! The most optimized way to deliver and stream VR content is yet to be invented! The finest consumer headset & experiences are yet to be invented! Why are we waiting? Let’s get out of the comfort zone of rectangular video and build the TRUE VR content creation and delivery means.